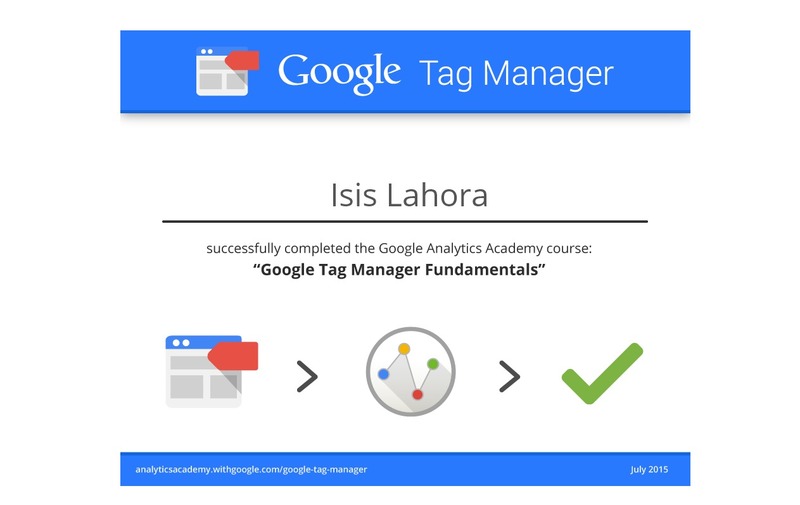 This course will walk through the basics of Tag Manager including developing a measurement plan and a tag management strategy. Discuss here are how to deploy tags and triggers, and shows how to set up variables that can be reused across the website. Before taking the Google Tag Manager (GTM), (if we really want to pass) take the Digital Analytics Fundamentals first, it's the robust training for the new Google Analytics, at first I wasn't really aware there was a deadline in certification for GTM, that I studied Digital Analytics in relax mode as in it took me more than 2 weeks to finish and got my final assessment score of only 72%! Then when I realize that there was a deadline for GTM certification I studied the Digital Analytics again more seriously and took the final assessment again and got 92% and proceed on GTM course - which I only studied in less than 5-days. What business information does AdWords use to generate dynamic ads based on a user’s past interactions with products and services on a website? Learn how the components of the Google Analytics Platform work together to collect and organize the business data you need for reporting and analysis. Discover useful reporting and analysis techniques to help your ecommerce business make informed decisions using Google Analytics data. Learn how using Google Analytics data can help you make your app more discoverable and more profitable.